In a speech Wednesday for Alliance Defending Freedom (an anti-LGBT hate group) Jefferson Sessions promoted Christian Supremacy and Christian Privilege; heaping praise on a hate group while denigrating SPLC. Attorney General Jefferson Sessions is taking sides. 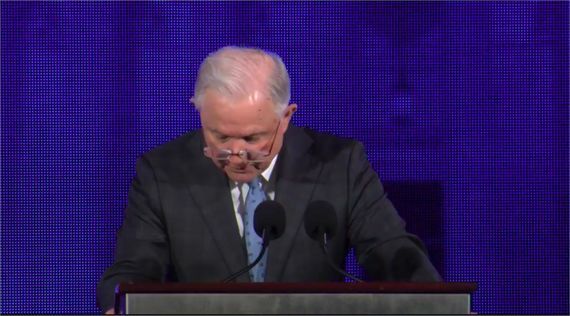 In a speech delivered Wednesday at Alliance Defending Freedom's Summit on Religious Freedom, Sessions spoke as a government official and not as a private citizen. Sessions claimed that bigoted baker, Jack Phillips, “simply refused to yield.” Aside from the fact that Sessions showed no empathy for the humiliated gay couple that was refused service, the nation's leading law enforcement officer pronounced, in effect, that Christians had the right (and even a duty) to refuse to obey laws that they did not like. Sessions liberally quoted from our founding fathers yet at no time did they envision Christian Privilege. Furthermore, Phillips was no victim. The law that he decided unilaterally to disobey was unambiguous and binding. It remains enforceable today. It was passed by the legislature (the elected representatives of the citizens) and signed into law by the state's duly elected governor. The Supreme Court reacted to the misjudgments of the enforcers of the law rather than the law itself. It was the equivalent of dismissing a prosecution for theft because the cops did a warrantless search or because they neglected to provide the defendant with a Miranda warning. … in seeking to defend Sessions from charges of racism, Sessions’s allies, and even Sessions himself, seem to have embellished key details, and to have inflated his actual role in the case, presenting him not merely as a cooperative U.S. attorney who facilitated the prosecution of the two Klansmen, but the driving force behind the prosecution itself. The details of the case don’t support that claim. Sessions went on to say that people of faith were victims of “bigoted” attacks and animus when, in fact, the criticism of religious conservatives is often based on their propensity to impose their bigoted beliefs about LGBT people on everyone through public policy. Sessions is also the guy who used the Bible to justify the incarceration of young children separated from their families. Sessions also championed Trump's Muslim ban. Again, Sessions promoted Christian Privilege. 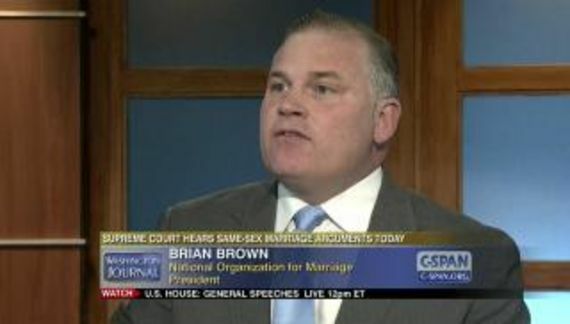 Founded by some 30 leaders of the Christian Right, the Alliance Defending Freedom is a legal advocacy and training group that has supported the recriminalization of homosexuality in the U.S. and criminalization abroad; has defended state-sanctioned sterilization of trans people abroad; has linked homosexuality to pedophilia and claims that a “homosexual agenda” will destroy Christianity and society. ADF also works to develop “religious liberty” legislation and case law that will allow the denial of goods and services to LGBT people on the basis of religion. Since the election of President Donald Trump, the ADF has become one of the most influential groups informing the administration’s attack on LGBT rights working with an ally in Attorney General Jeff Sessions. Sessions, in his role as Attorney General of the United States is defending ADF's anti-LGBT bigotry. Does SPLC have any factual errors in their outline of ADF? Have they mischaracterized something? All Sessions wants to know is that ADF is a Christian group and that they are an important influencer among Trump's base. Facts do not matter. Sessions would have us believe (as he states) that ADF's supposed defense of the First Amendment doesn't make them a hate group. Now the SPLC uses their “hate group” label as a weapon and they have wielded it against conservative organizations that refuse to accept their orthodoxy and choose instead to speak their conscience. They use it to bully and intimidate groups like yours which fight for the religious freedom, the civil rights, and the constitutional rights of others. Sessions is an employee of the United States of America and has been for some time. He is calling a private organization dishonest and misguided without calling any of the facts into question. His characterization of SPLC; its actions and its motives is what is dishonest. Sessions is using all of the regurgitated rhetoric with words like weapon, bully and intimidate. None of that is true. Nor is Sessions' characterization of why ADF and others are deemed to be hate groups. Sessions is suggesting pernicious motivations that do not exist. Jefferson Beauregard Sessions' America is one where Christian Privilege is the law of the land. LGBT citizens are fair game for persecution and discrimination. Muslims in Sessions' America are also second-class citizens. Instead of bragging hyperbolically about his prosecution of two Klansmen for murder, Sessions should consider just how similar ADF's doctrine is to that of the Klan. Unlike the Klan ADF is nonviolent. On the surface they do not promote violence. However, they are responsible for violence against, and persecution of. others. All it takes to be a target of ADF is to be disapproved of in accordance with literalist Christian dogma. Sessions takes sides and it is clear where he stands. He is a racist, an Islamophobe and an anti-LGBT bigot. Remember that we can neuter Sessions in November by delivering a change of control in Congress. That includes subpoena power. It's up to us to limit Sessions' power. Vote!